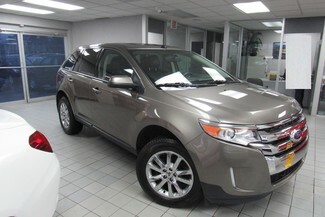 2014 FORD EDGE SEL W/NAVI/ BACK UP CAM, NO CREDIT, BAD CREDIT, COLLECTIONS, MATRICULA, CASH PAYING JOBS, PREVIOUS BANKRUPTCY, REPOSSESSION, FIRST TIME BUYERS? NO PROBLEM! WE HAVE THE BEST DEALS ON WHEELS! PLEASE CALL SALES AT 773-286-0400 ?